"Eleven of the 18 winners over the Copperhead course have been from outside the United States." Week four of the PGA Tour's Florida Swing takes the players to the coastal community of Palm Harbor, around 20 miles north-west of Tampa Bay. 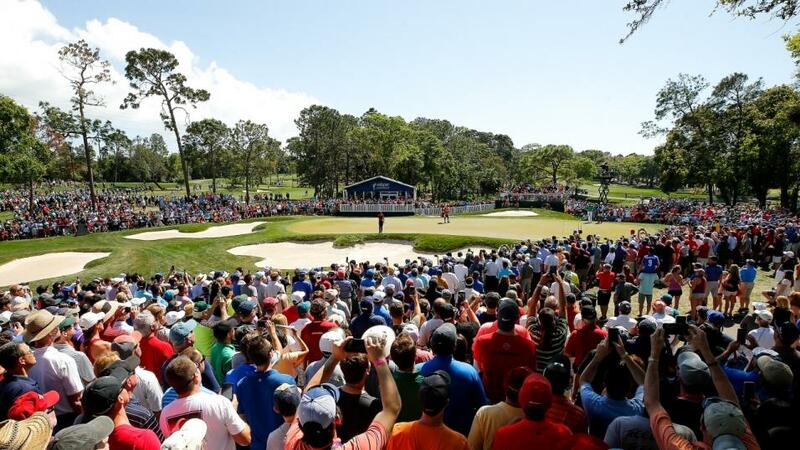 The Valspar Championship, which began life in 2000 as the Tampa Bay Classic, concludes the Tour's stay in the Sunshine State for another season. Played over the Copperhead course at Innisbrook Resort, the tournament can often feel a little low key, when compared to some of the more prestigious events staged either side of it - at this time of year. Because of the close proximity of Bay Hill, plus a couple of WGC events, not to mention the impending Masters and a newly-restored March date for TPC Sawgrass, all of this means the Valspar Championship will never be granted top billing. That said, it usually attracts a decent selection of marquee players and this year is no exception. With Augusta National just around the corner, there will always be a number of top golfers keen to improve their touch and accuracy, ahead of the year's opening major championship in April. World No 1 Dustin Johnson is in town, along with 13 other top-30 ranked players. Johnson makes his first appearance for nine years, having missed the cut in both previous visits. Why not check out DJ's position in the current market. Ex-No 1 Jason Day is on a solid run of form right now, without being sensational. The 31-year-old Aussie has only once failed to finish inside the top 25 - from his most recent 10 starts - but is without a victory in over 10 months. The two most recent Masters' winners, Patrick Reed and Sergio Garcia, have decent histories at the course, while Webb Simpson's form has been simmering nicely this year and he is a former runner-up at the tournament. Last year's American Ryder Cup skipper Jim Furyk was second at Sawgrass last week and is still hitting the ball well, while locating plenty of greens in regulation. The 48-year-old has finished first and second at Copperhead, while the accurate Lucas Glover should also have the game to prosper in Palm Harbor. Throughout its relatively short history, the tournament has delivered plenty of rich pickings for overseas golfers. So far, 11 of the 18 winners over the Copperhead course have been from outside the United States. Opened in 1974, Copperhead's tree-lined fairways and rolling terrain is certainly no slugger's paradise - despite the existence of some long par-fives. There is enough sand, along with numerous changes in elevation and direction, to keep most minds suitably focused. This well-bunkered layout, with putting surfaces that are larger than the Tour average, has undergone a number of restorations during its life, most recently in the summer and autumn of 2015. These latest changes included re-seeding the greens with TifEagle Bermuda, while expanding the putting surfaces back to their original size - to accommodate a greater number of potential hole locations. Water should only come into play on five holes, while the overall tournament stroke average for this event is higher than for most on the PGA Tour schedule, and Stewart Cink once remarked: "This course could host a US Open." And a former champion over the Copperhead layout, Jordan Spieth, added: "The course plays longer than the yardage. Greens in Regulation is a very important stat."